Founded in 1853, Mauritius Chamber of Agriculture (MCA), a non-profit private association, is the oldest institution of the private sector and regroups agricultural farmers as well as other stakeholders of the sugar industry, other agricultural cultivations and other general agricultural related activities. The Mauritius Chamber of Agriculture is a privileged stakeholder involved in different initiatives aiming at developing agriculture in Mauritius, and on the international platform. The main objective of the Mauritius Chamber of Agriculture is to represent, promote and protect the interest of the agricultural community as a whole. The Mauritius Sugar Syndicate (MSS) is the commercial arm of the sugar sector in Mauritius and is responsible for the marketing and export of all the sugar produced locally. It is a private and independent organization governed by its members, all of whom are sugar producers comprising corporate and independent sugarcane growers as well as millers.In 1951, following the recommendations of the Mauritius Economic Commission 1947-48, the Mauritius Sugar Syndicate (the “Syndicate”), which finds its origins in 1919, was legally constituted for an indefinite period in pursuance of the Mauritius Sugar Syndicate Act 1951. In order to ensure a sustainable cane industry as an important pillar within the socio economic framework of the country, the Mauritius Cane Industry Authority was established as a body corporate on 15 December 2011 with the enactment of the Mauritius Cane Industry Authority Act (No. 40 of 2011). The Act came into force by Proclamation on 19 March 2012. Its mission is to promote the development of the cane sector and its clusters through systematic policy measures, creating an enabling environment with innovative and efficient services, research and development, technology transfers and value addition to meet current and future challenges. facilitate the adoption of modern and efficient agricultural practices by planters. foster competitiveness of all segments of production in the cane industry. The sugar cane, first introduced in Mauritius in 1639, became the very lifeblood of our economy from the early 19th century to the later part of the 20th century. Subsequently, and in a large part due to the efforts of the sugar industry itself, the Mauritian economy was extensively diversified through other forms of manufacturing; an Export Processing Zone based largely on clothing and garment making, tourism, as well as off-shore banking and related activities. But even if Mauritius is no longer a text-book example of a monocrop economy, the sugar cane still dominates local agriculture in terms of foreign currency earnings, employment and GNP contribution. The idea of insuring the sugar cane crop against weather damage is of long standing. It began in 1907 with the investigations of Mr. A. Walter, FRAS, and Chief Assistant at the Royal Alfred Observatory in Pamplemousses. These, designed to establish correlations between the cane crop and certain meteorological elements (wind, temperature and rainfall) and hence insurance possibilities of the cane crop against cyclone damage, were published in The Sugar Industry of Mauritius (A. L. Humphreys, Lond, 1910, 208 pp). There were other studies, notably by London-based crop insurers and by the local Agricultural Bank. Among serious difficulties encountered were the considerable losses caused by major cyclones, and the high premiums anticipated (between 5 to 10%), and the lack of general support among cane producers who were prone to droughts (the latter not being covered in any proposed insurance scheme being then studied). a. “Is it necessary for compulsory insurance to cover such a high proportion of losses incurred as a result of cyclone or drought? Would there be any advantage in having compulsory insurance to cover, say, a half of such loss or in making the planter or estate concerned meet the first 20% or 30% of any loss, leaving any insurance in excess of this to the decision of the grower? The present system ties up very large sums in sterling balances, and, although we fully agree with the necessity for an insurance scheme, it does not appear to us to be essential that such a high proportion of loss be met by a compulsory scheme, especially if this involves any considerable increase in premiums. The purpose of the Fund, the Meade Commission insisted, was ‘to meet serious loss’ and it should be ready to do so while avoiding what might otherwise ‘be a need to raise premiums to an excessive level’ (Frank Cass Ltd, Lond 1961; pp 81-84). In 1963, the Fund was scrutinized as part of a wider Sugar Industry Inquiry carried by Dr. T. Balogh and Mr. C.J.M. Bennett. The Balogh Commission shared the ‘considerable’ anxiety felt in many quarters, private and public, concerning the Fund but felt it necessary to reserve its eventual recommendations to Government for a confidential submission (Mauritius Legislative Council, Govt. Printer Sessional paper no.4 of 1963, Chapter 8, Section VI para 8.29 – 8.40). From time to time, special measures have had to be taken to cope with particular situations to avoid severe depletion of reserves following violent cyclones or droughts, thus by putting an upper limit on compensation in certain years or by making additional export levies to boost the insurance fund in years of sugar boom. These measures came about generally through government – industry consensus and are reflected in the legislation. In 1969, provision was made to cover damage from excessive rainfall. Subsequently in 1974 a Fire Insurance Scheme was incorporated with existing schemes for cyclones, droughts and excessive rainfall and the organization was restyled the Sugar Insurance Fund Board. 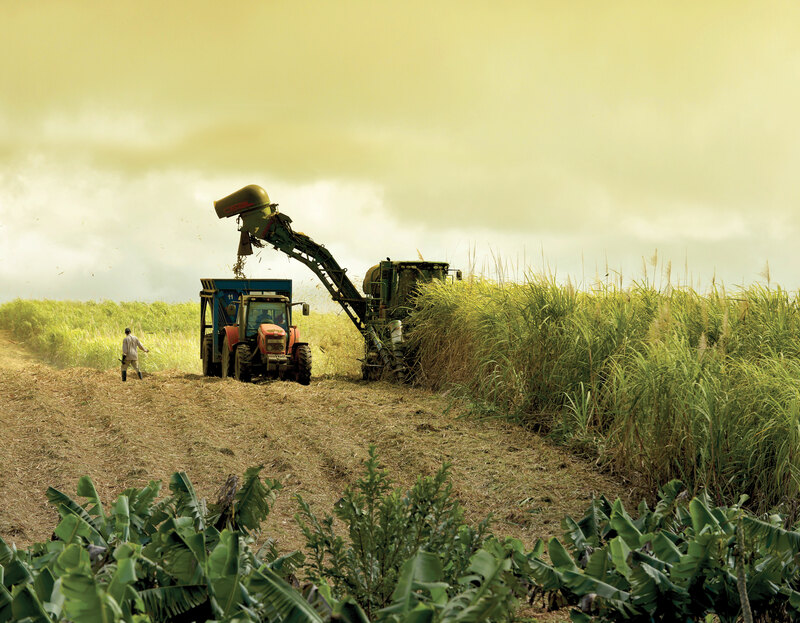 Mauritian sugar insurance has distinct and unique features, which make it a focus of attention in world agriculture. But even in Mauritius, there are from time to time proposals to the effect that there should be insurance schemes for other crops, and for animal production. Interest in these proposals tends to evaporate once the questions of costs and who shall bear them come on the agenda. Tobacco may yet prove an exception, but its insurance awaits full analysis. On the other hand, even within the local sugar industry, complaints persist, some evergreen, keeping the Sugar Insurance Fund ever vigilant. To insure the sugar production of planters, metayers and millers, against losses due to the effects of inclement weather such as, cyclones, drought and excessive rainfall under its General Insurance policy. Fire occurrence in sugar cane field is another risk covered by the Fund under its Fire Insurance policy. Its mission is to support and implement priority RDT programmes and projects and appropriate technologies for food security and to enhance competitiveness, sustainability and stakeholder equity across the agri-food value chains with the vision to help steer and promote the sustainable development of the National Agri-food System through the efficient and effective application of Research, Development and Training (RDT). The Agricultural Marketing Board is a self-financed parastatal body operating under the aegis of the Ministry of Agro Industry and Food Security. The Agricultural Marketing Board was established in 1964 to implement food security strategies and to expand the local production of strategic crops like onions, potatoes and garlic. The Agricultural Marketing Board is vested with wide powers in matters relating to the production, storage, import, export and sale of a number of commodities declared as “Controlled Products” by law. Its mission is to maximize customer satisfaction by providing high quality and innovative products and services reliably and cost effectively towards the vision of being a global strategic partner for a sustainable Agro-Industry. to regulate standards and quality of products falling under its control.